Last week I baked some cookies and sat with a chatty group of thirteen year old girls on our back porch. We opened our Bibles and talked for over an hour. It was fun. It was unscripted. It was discipleship. As promised, today I’m sharing the lesson from our time together. Take this stuff and use it, friends. 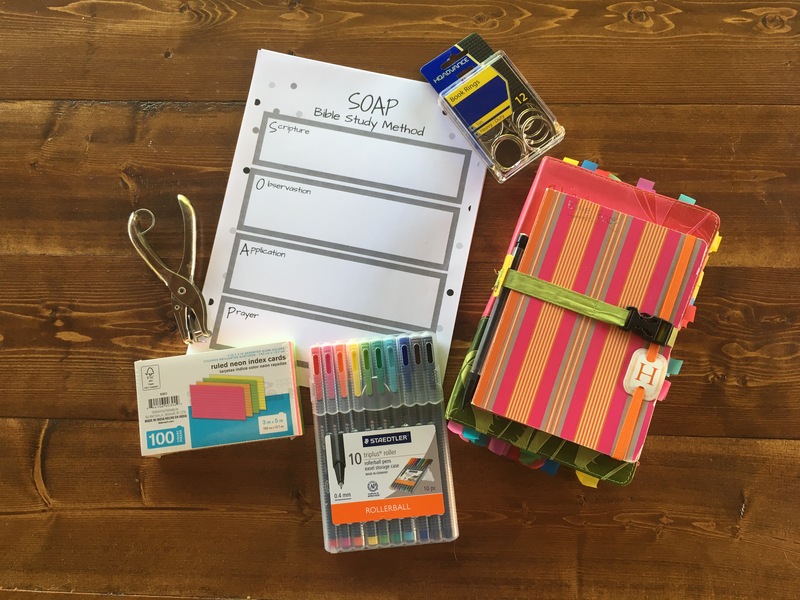 Print out the SOAP worksheet. Talk it out with a friend. Teach your kids. Memorize with us. 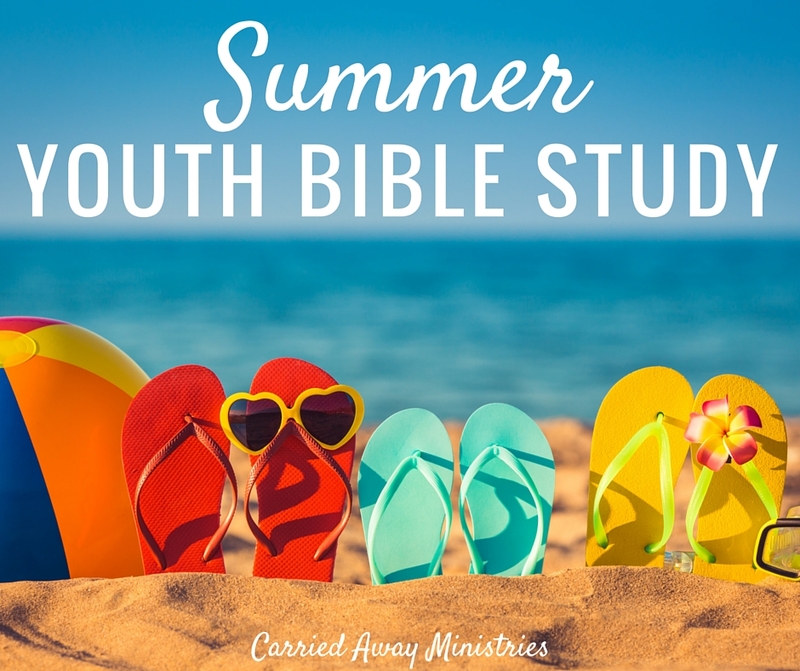 I let the girls know right off the bat that it is completely normal to be a little intimidated or nervous about coming to Bible study for the first time. I told them that even people my age were nervous about studying the Bible. They instantly took a sigh of relief. Then we opened up to Joshua 1 and read our first Bible verse together. 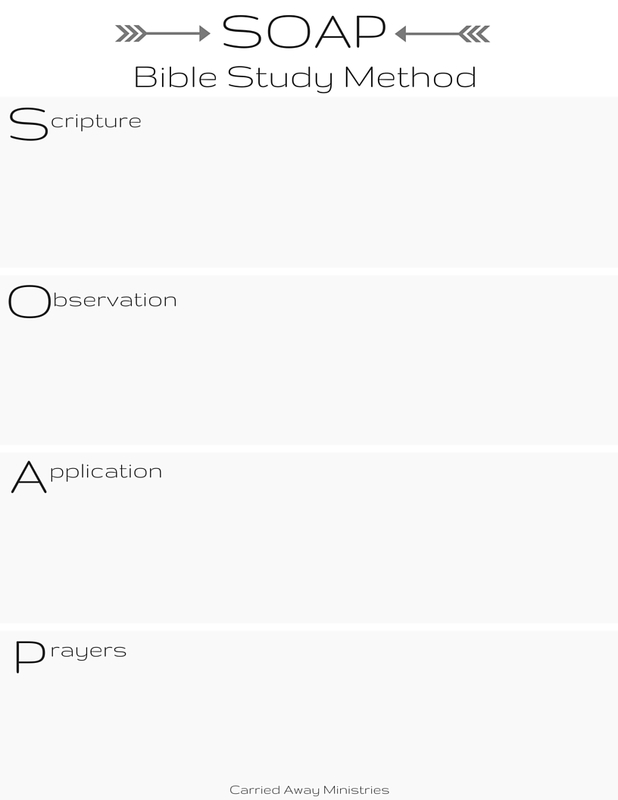 Below is the worksheet we used (which I modified after we met because the girls needed more space to write) and how we walked through Joshua 1:8 using the SOAP method. For a downloadable verse to print, CLICK HERE. What command did God give Joshua? 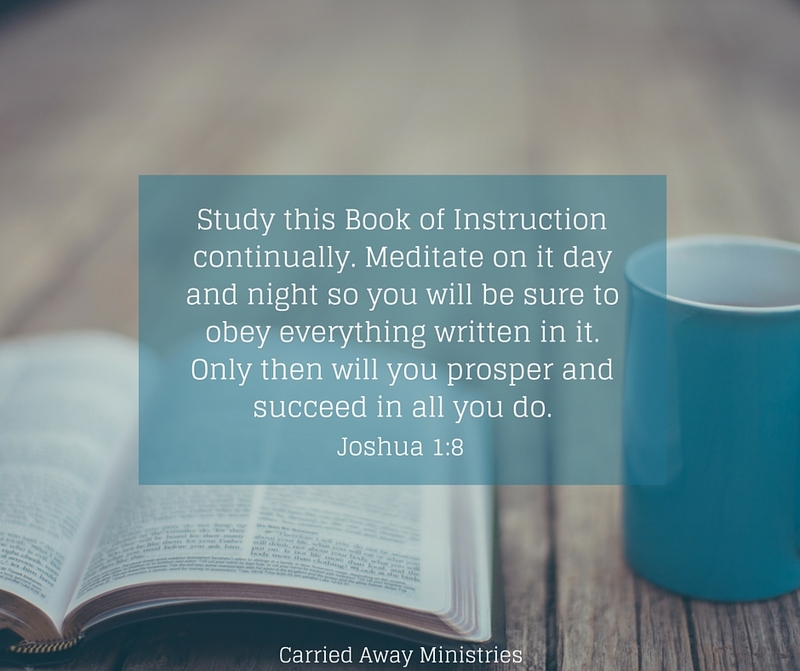 What is this “Book of Instruction”? What do you think it means to meditate on it day and night? What is the purpose of keeping His Word in our minds all day long? According to this verse, how do we prosper and succeed? How would you define prosper? What about succeed? How does God’s view of success differ from the world’s view of success? Do you think this command to Joshua applies to us too? Why or why not? We discussed all our observations and recorded what we learned. God wants us to know and obey His Word. We didn’t fill this part out in our time together. I told the girls to take it home and write out a prayer to God about how they would apply the verse personally. I explained to the girls that this verse is our WHY. The truth behind this verse is why we are doing what we are doing this summer. We want to learn what the Bible says so that we can live it out. We want to know and obey. My last challenge for the girls was to memorize this verse by the next time we meet. To help them with this, the girls made scripture memory cards. Each girl received 8 index cards. Using the hole puncher and ring, they put their cards together to make a little book. 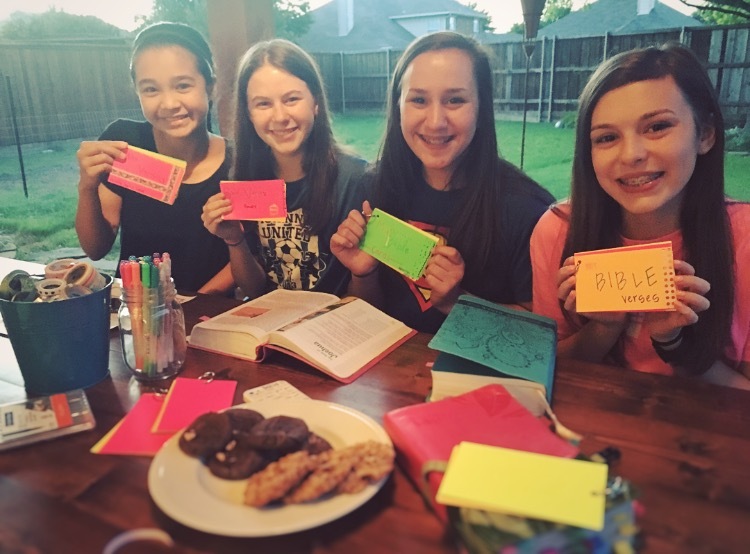 They decorated their cover and wrote out their first memory verse (Joshua 1:8) on the first card. For June and July, I will post our lessons on the second and fourth week. In August, I will post on the first and third weeks so that we can get them in before school starts back. If you’re joining along and would like the verses ahead of time, email me and I’ll send them to you. Now go grab a friend and get in the Word! It’s God’s command to Joshua and you and me!